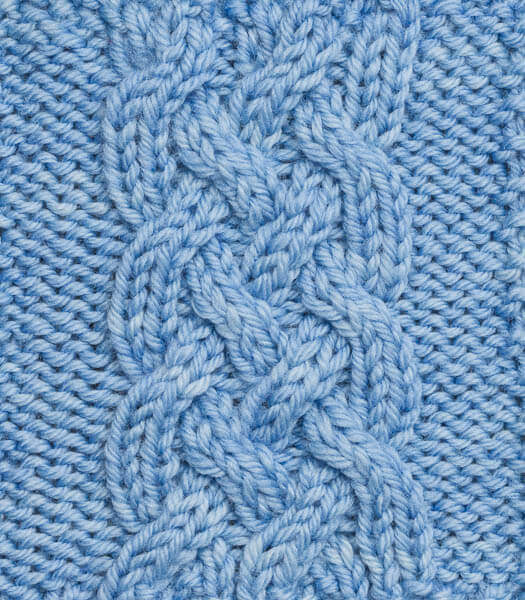 This Loose 5-Rib Braid Cable Pattern features 2 right crossings worked on the last set of braid stitches followed by 2 left crossings on the first set of braid stitches, with a purl stitch between the crossings. This pattern, along with the 3 others listed below, is brought to us by Story Publishing to celebrate the new release Cable Left, Cable Right by Judith Durant. 2/1/2P crossings separated by 1 purl stitch. 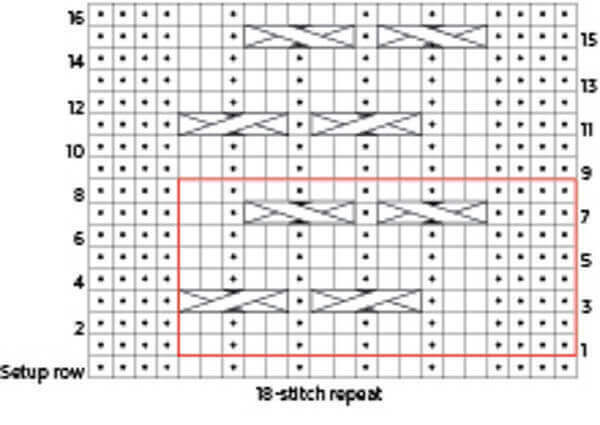 Features 2 right crossings worked on the last set of braid stitches followed by 2 left crossings on the first set of braid stitches, with a purl stitch between the crossings. LOVE cables; that’s why I learned to knit!